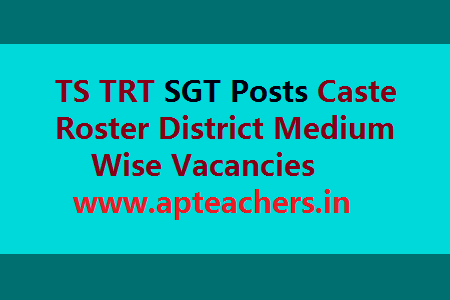 TS TRT SGT Posts Caste Wise District Wise Vacancies. Notification No 53/2017 Dtaed 21.10.2017 Teacher Recruitment Test Secondary Grade Teacher SGT Posts Detailed Notification. Applications are invited for SGT Secondary Grade Teacher Posts through Online from qualified candidates through the proforma Application to be made available on Commission’s WEBSITE (www.tspsc.gov.in). The Details of SGT Telugu Posts Vacancies department wise i.e., District, Community Wise, Subject, Medium and Gender wise (General / Women) are given below. DISTRICT WISE BREAKUP OF VACANCY POSITION FOR THE POST OF SECONDARY GRADE TEACHER in SCHOOL EDUCATION DEPARTMENT. Below is the PDF File which Contains the District Wise, Community Wise, Roster Wise SGT Vacancies for TS TRT 2017. This file contains Telugu Medium Vacancies, Roster Wise, District Vacancies. Hi, very good post. Kautilya Careers provides online training, coaching classes, tutorials, recorded lectures, mock test for DSC SGT Preparation. To do TS dsc sgt online preparation visit our website and enrol today!